Tokyo Motor Show: you need never walk again! This month sees the annual Tokyo Motor Show in Japan, with a feast of electric and concept car, motorcycle and personal transportation technologies set to wow the motoring industry. 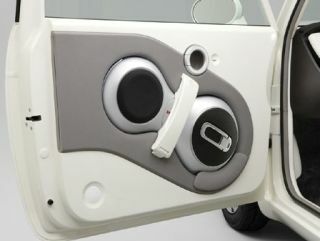 One such example is Honda's new EV-N electric car, which niftily comes with the recently launched U3-X electric unicycle neatly folded away into a compartment fitted within the car's door. Effectively, you could use the new electric EV-N to tootle around town in and then once you have parked up you can hop on your motorised unicycle, to save you all that bothersome trouble of actually, you know, walking! Honda describes the EV-N as a "battery electric vehicle" and will no doubt be telling us a lot more about this and other new concept cars and vehicles when the TMS kicks off later this month on 24 October. Honda is also set to show off more of its hybrid Skydeck car that carries up to six passengers, as well as its new communications system called Loop, that allows passengers to 'talk' to their cars and personal transportation machines.